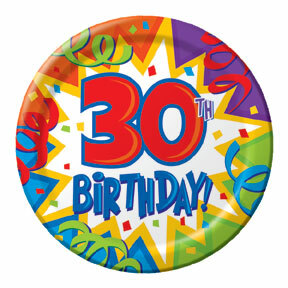 It’s my 30th birthday today. Yay, happy birthday to me! My coworkers had a lot of fun with that while I treated them to a customary bag of candy everyone brings in on their birthdays. By most accounts I’m not doing too bad. I have a beautiful girlfriend, a good job, live in peace with my folks that put a roof over my head, have a hobby that keeps me entertained on cold winter evenings… there’s plenty more to mention but what I’m getting at is that turning 30 doesn’t change much at all. Sure, I need to consider that I’m not getting any younger, but things are alright and will hopefully get even better. So yeah, happy birthday to me. The mention of the beautiful girlfriend, the roof over your head and that ellipsis make me think I know what that hobby of yours is that keeps you entertained on cold evenings!